Snowfang (pictured right) is the newest addition to the Legion Beta. 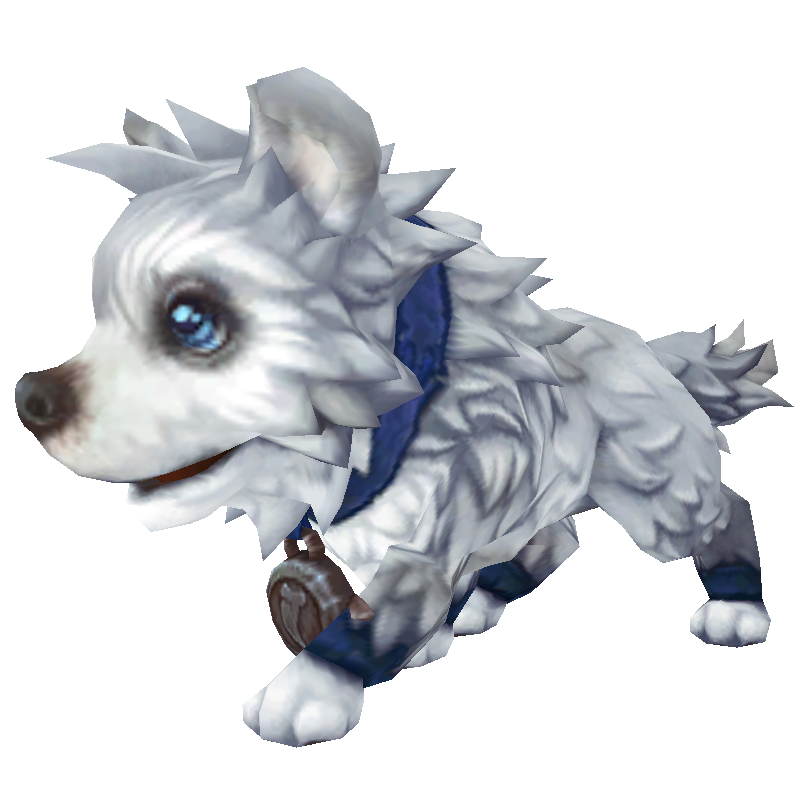 According to its flavor text, this cute puppy is the offspring of Thrall's own frostwolf, Snowsong. It also hints that we may have to defeat Snowsong in order to collect Snowfang. "A pup of Thrall's frostwolf, Snowsong, besting her in combat has earned you a lifelong companion." Snowfang is currently listed as wild, but this could change prior to the expansion's release. With this pet, the current total number of new pets coming in Legion is nearing 100! Perculia, Site Director of Wowhead, pointed out three new mysterious items in the recent Beta patch. There's currently no indication what these companions will be or where they will come from. Could one be a placeholder for a possible BlizzCon pet? Or even a new charity pet (which is usually announced during the convention)? We'll have to wait and see. Stay tuned, hopefully we'll have more information on these pets in the near future! Easily doable with Mechanicals such as Iron Starlette, Pandaren Mechanical Dragonling. Didn't even use the third mechanical I chose. "If it's found in the Shaman Order Hall does that mean I need to roll a Shaman just to get it?" Hmmm. What if there is a different pet available in each class order hall? yowch! If it's found in the Shaman Order Hall does that mean I need to roll a Shaman just to get it? Legion is looking more and more like it will deliver promising pet content! "Not a huge fan of reskins/recolors, but Snowfang sure is lovely! :D"
As there are Deep Cavern Murlocs in Highmountain, I hope they will finally make The Gurkster an obtainable pet. I have been hoping for him to be added since I saw him in MoP Beta.